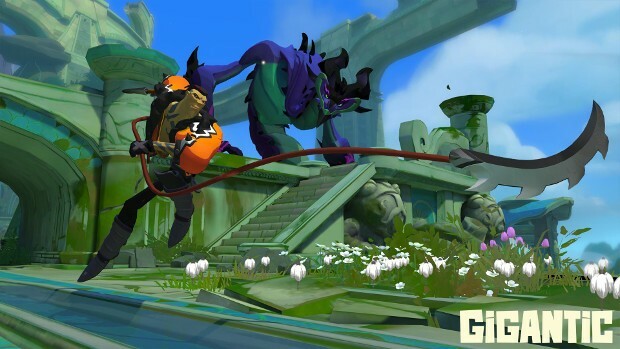 Today, Motiga’s free-to-play strategic shooter officially launched. The game is now available for download on PC via Steam, Arc, and the Windows 10 store, as well as Xbox One. In complement to the game’s launch, the developer has also released a new update. Included in the update is the game’s 19th Hero — a blade-wielding heavy-hitter by the name of Ramsay. The update also adds text chat and new packs. As the game is launching on several platforms, Motiga is offering different exclusive items. Steam players will receive a Stone Relics skin for Beckett. Arc players will be granted a Lightning skin for Tripp. Meanwhile, Xbox One and Windows 10 players will receive the Excelsior skin for Tyto the swift. All that’s required to receive these skins is to log on to your platform of choice and play a round. They are looking to lower the requirement later on.